Lucifer is a show that was produced by Fox, then resurrected by Netflix after the network cancelled it. As we prepare for the newest season to land later this year, here are some ways you can binge all previous episodes online. What would happen if CSI and humor joined forces? You get Lucifer, that’s what. We all know Lucifer as the all-powerful Lord of Hell aka Satan. Imagine what you’d get if one day, he decides he’s had enough of hell and descends to Earth. 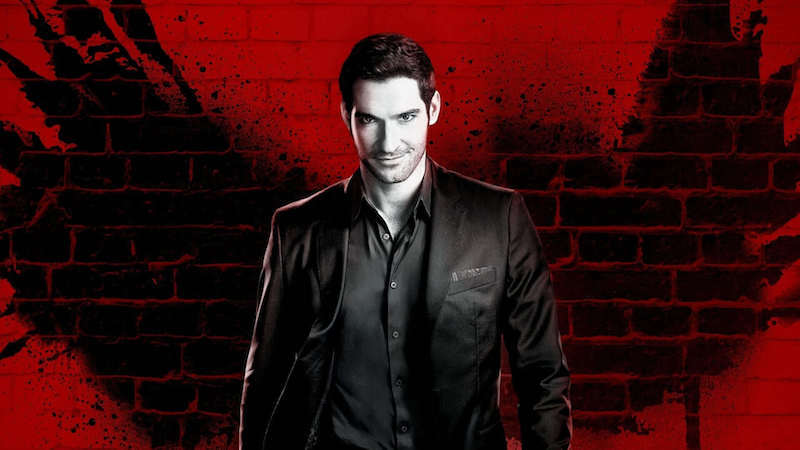 The show is about the titular character, Lucifer, as he resigns his throne and abandons his kingdom to live in Los Angeles where he runs his own nightclub, becoming a consultant for the Los Angeles Police Department (LAPD). The character is based on the Lucifer character from DC Comics, taken from the comic book, The Sandman. The series ran on Fox for three seasons with 57 episodes and was discontinued after the third season in May 2018. A month thereafter, Netflix picked up the series for a fourth season, which will begin sometime in 2019. Since the series is now produced by Netflix, you can bet it’s available on the streaming site, unless it’s not available in your region. Currently, the show is available across numerous regions across North America, Europe, and Asia. However, Amazon currently doesn’t seem to have the licensing agreement in order. But even if you don’t find it in your region, you can bypass it with the use of a VPN. 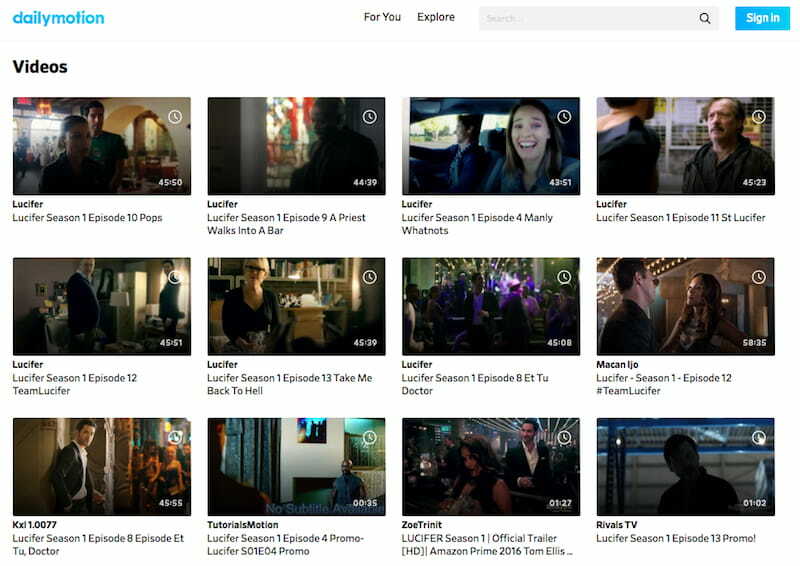 Here are some ways – both official and otherwise – to stream Lucifer online. It’s a no-brainer that this comes up first on our list. From the time Netflix picked it up, everyone knew that this series was already up for grabs on the platform. The previous three seasons are available for streaming on the site. If you’re already caught up, take a break and relax until the release of the fourth season later this year. Oh, and did we mention that you can also download the show so you can watch it wherever you are? Neat. In the event you’re in a country where this content isn’t available, you can use one of these VPNs that can unblock Netflix to access the show. If Netflix is not available in your region, then you should try out iTunes. iTunes also has all three seasons of Lucifer at slightly differing price points. To save, you can also choose to buy all three seasons as a whole, including bonus footages and other special clips. That’s $20 less with add-ons. It’s the ideal platform if you have a habit of rewatching previous episodes at your viewing pleasure, especially if you have an iOS device you use to watch shows on-the-go. Are you an Amazon Prime subscriber? Then you can also watch all three seasons of Lucifer on Amazon Prime. Bad news though. It looks like the series is currently available exclusively for UK viewers. Ouch. This is where using a VPN comes in handy (more on that below). If you already have an account on Amazon UK, you’ll need to subscribe to Amazon Prime to stream the series. There’s a 30-day free trial for you to test it out. Kudos to you if you can binge all three seasons in 30 days! £79 for a yearly subscription paid in advance (you save £16.88). In case you didn’t know, there are other legitimate streaming sites where you can watch Lucifer. If you don’t happen to have an account for the streaming services mentioned above, Vudu is one of those alternatives. But unlike the others, Vudu is only available in the U.S.
It’s an underrated competitor in the streaming industry which offers paid streaming services on various platforms, including macOS, Android, and Windows. Like its competitors, it lets you download an entire season or individual episodes. What sets it apart from the rest is its availability on almost all platforms with no restrictions. If you want to try out a new streaming service, then this might be right for you. If you can’t even afford to subscribe for a premium membership on the platforms mentioned above, let alone spend on buying individual episodes, this section is for you. Luckily for you, we found ways to make your life easier without spending a dime. Here are some unofficial ways to watch Lucifer in action. Unfortunately, YouTube’s a no. Its copyright infringement policy makes it impossible to stream shows like these. And as usual, if you can’t find it on YouTube, you might find what you’re looking for on Dailymotion. But don’t expect to find all the episodes of the series because as we said earlier, it is an “unofficial” streaming site. You’ll be at the mercy of the uploaders to find specific episodes you’re looking for. If you decide to pass on Dailymotion, then give this one a go. Openloadfreetv is an open site which offers streaming services for titles searchable on its website. There’s no need to register an account to start streaming, so you can go to the search bar right away and type in Lucifer. One thing to watch out for is that you’re required to watch an ad for every episode you view and you can’t skip it either. And if that’s not frustrating enough, this site has lots of pop-ups and ads. We recommend you to always activate your AdBlocker before you visit. If you can’t find the episodes on the sites mentioned above, then you need to do some more manual work. 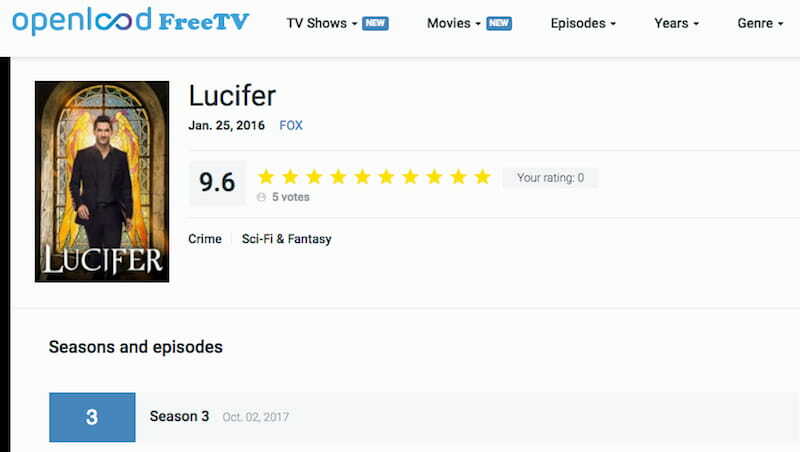 Type “watch Lucifer online free” or “watch Lucifer episode free” to access other unofficial sites which might provide the episode you’re missing. Patience is your friend, as each streaming site does not guarantee the experience and satisfaction you want, and each link you click will not always provide the particular episode you are looking for. Also, beware of things that might harm your computer such as malware and viruses. These are unofficial channels, after all. We do not recommend this method, so take it as a last resort. We do not condone piracy or breaking the law as torrenting copyrighted shows is outright illegal. Of course, you can download the show through legal means – as in streaming sites – but if you share even a tiny bit of it, it may be punishable by law. Take the time to learn about using a VPN and choose between our top-rated ones that you can find below so you can avoid facing jail time or paying a fine. Alternatively, take a look at the best VPNs for torrenting to keep your activities safe and secure. 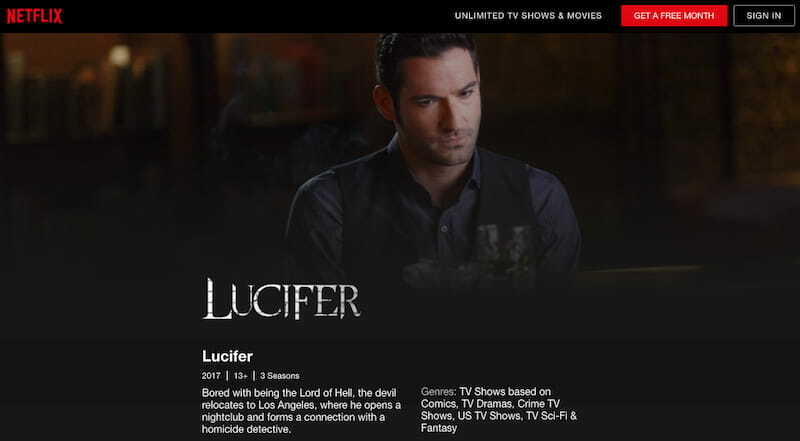 If you subscribe to a particular streaming service and you don’t find Lucifer on it because it is unavailable in your region, don’t be sad because VPNs can come to your rescue. You will be able to stream content that is originally not available in your country through the use of a VPN. Basically, a VPN hides your IP address and routes your connection to a server in the US or UK, where Lucifer is available. This is a great thing because you can browse otherwise unavailable content and at the same time surf the internet safely and securely from the comfort of your own home. If you don’t know where to start, we can suggest two premium VPNs that have guaranteed streaming options such as Netflix, Amazon Prime, and others. ExpressVPN is our most recommended premium VPN provider since it has lots of servers in different regions to route your activity in potentially anywhere in the world. It’s got everything you’d want from a premium VPN service, like 24/7 customer support and 100% guaranteed Netflix access. That’s cheaper than a Netflix subscription or Amazon Prime membership, all for $8.32 a month under the yearly plan. Totally convenient. It also supports torrenting, so you can bypass geo-restrictions while downloading stuff that’s not available on streaming sites. Privately. If you can’t afford the $8.32 price tag, then we suggest you go to our another top-rated VPN, NordVPN. At $2.99 a month for a 3-year subscription, NordVPN makes it a close and worthy alternative to ExpressVPN, because it also provides services available on the latter. High-speed internet, private browsing, and even torrenting – you name it. You’ll be able to unblock Lucifer in no time. With all these recommendations we’ve given, you’re ready to hit the sack and do some Lucifer binge-watching. The fourth season is scheduled for release this year, so you have a few months to watch all 57 episodes of the show, each at about 43 minutes tops. Unblock any regional restrictions you may encounter with these top VPNs for Netflix (and other streaming sites). Do yourself a favor and catch up unless you want the Lord of Hell himself to visit you!